Pic Perfect Movie FX Sticker Camera lets you add Hollywood effects to your photos! Explosions, aliens, ghosts, demons, spells, planets...endless possibilities! Choose from five amazing movie categories! Action Movies - Mission: Explosion! Turn your photos into screenshots from a movie in a dangerous war zone! Spice up your vacation pictures with sharks, whales, dolphins and more! 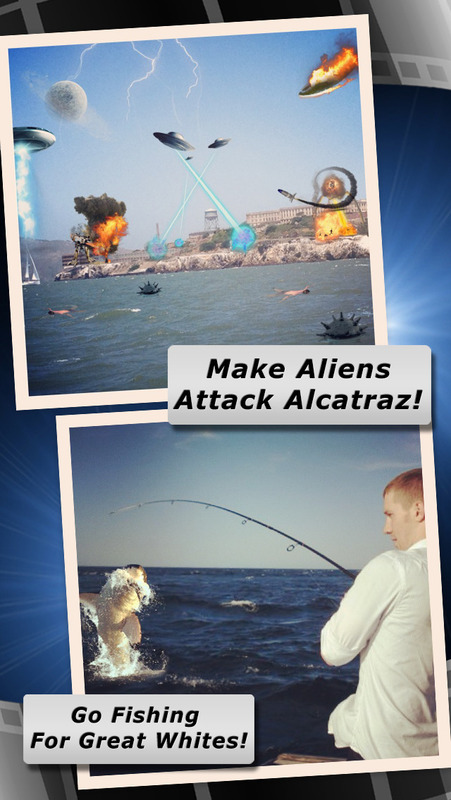 Add UFOs to your pictures and crazy planets in the sky! 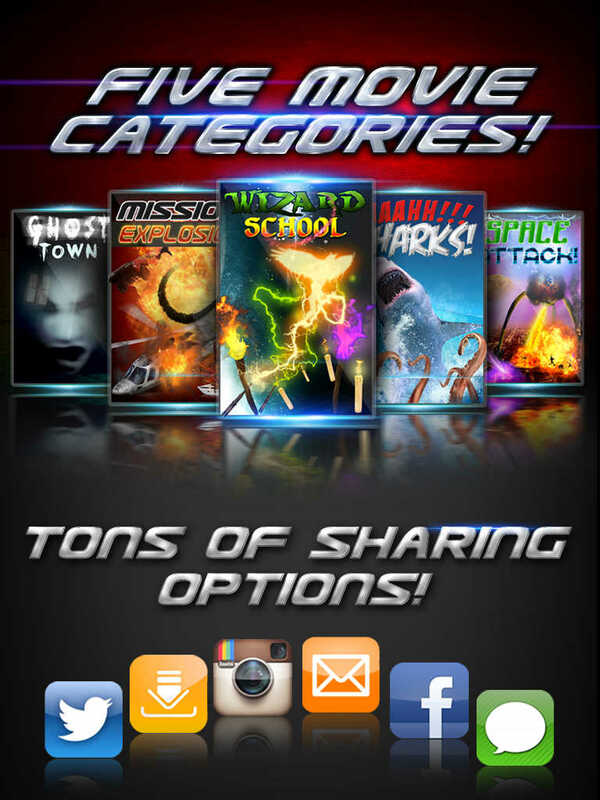 Battle your friends in wizard duels and summon a flaming phoenix on command! Freak out your friends when you add ghosts in the background of the photos from last weekend! Snap a picture or choose one from your library and then start adding these hollywood quality movie FX to your image! You can stretch them to make them bigger or pinch them to make them smaller. Rotate your pictures or copy and paste a few more! Upload your photos to Instagram, Facebook, Twitter and more! Now you can put stickers BEHIND people or objects. How? Simple! Place a sticker over a person/object, then use the eraser function to eraser the parts of the sticker that are over the person or thing you want to be in the foreground. You can use the 'mouse' eraser or use your finger with the 'touch' eraser feature. You can even zoom in and adjust the size of your eraser! Plus, we have a gradient eraser to fade out parts of the sticker! The eraser will help take your Pic Perfect pictures to the next level! Make sure you hashtag your photos with #picperfect so we can see what you came up with! We can't wait to see it! The game can be played for free, but it does have purchases available for real money. If you do not want to use these features, please deactivate in-app purchases.